This is a fabulous photo tour, which explores the beautiful small town of Greenwich. Royal Greenwich is renowned for its naval history, river walks, bustling markets, architecture and royal parkland. 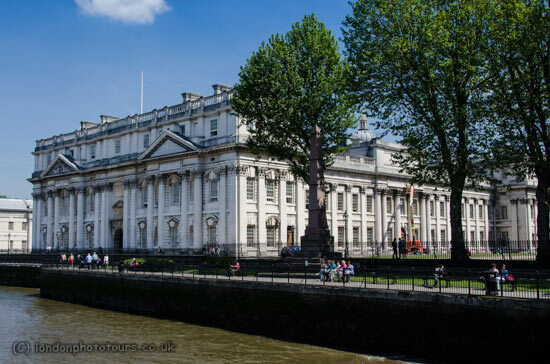 The photography tour highlights include, the newly renovated Cutty Sark Clipper, the imposing architecture of the National Maritime Museum and Old Naval College with outstanding river views along the Thames Path. We take time to explore quirky back-streets, quaint pub signs and contemporary buildings. The Greenwich landscape is vibrant at all times with an inspiring mix of old and new which makes the Royal Greenwich Photography Tour outstanding. Learn about, depth of field, creative shutter speeds, lens choices and zoom selections, how to use light, white balance and colour temperature, varied shooting modes and general camera handling. The Greenwich tour is suitable for all skill levels. Suitable for all types of digital cameras from DSLR to Compact to Smartphone. Meet: DLR Cutty Sark – Greenwich Maritime.